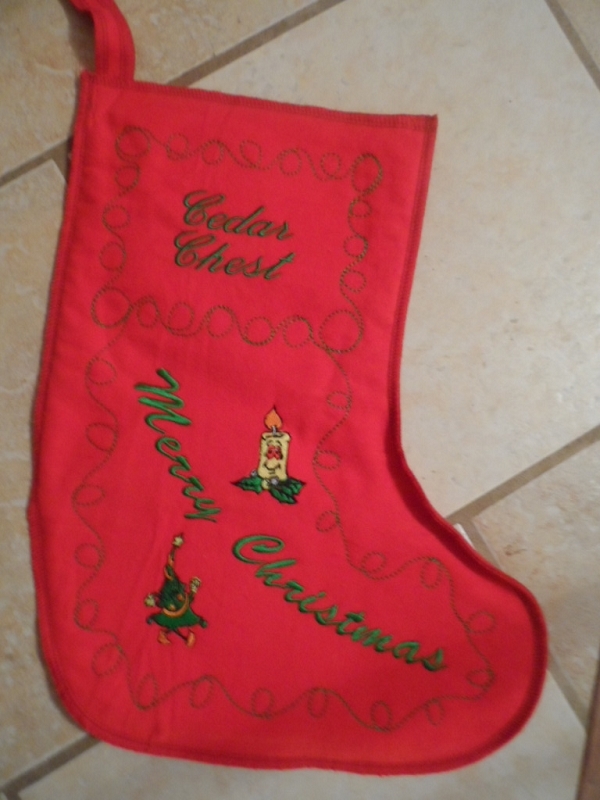 This untraditional red flannel Christmas stocking includes some extra graphics embroidered on it for a little fun! Great for the kids! Personalize it with embroidery of your special someone's name for free. Embroidered with green satin ribbon, with a max of 10 characters. Enter the imprint in the area provided. Other thread color and imprint options are available. Please call for more information on additional options. As this item is personalized just for you, please allow an extra week for processing before item will be ready to ship. Dimensions: 15" tall and 12" wide Material: 100% cotton, USA made fabric.